Now, the former track star is beginning a comeback. As a basketball player. 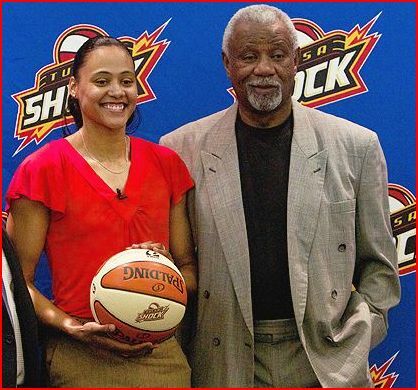 Jones signed with the Tulsa Shock of the WNBA. She had previously played college basketball at the University of North Carolina. The male dominated sports media is fond of bashing the WNBA. However, this year, ratings and attendance for the league’s Finals were actually up significantly. The Phoenix Mercury/Indiana Fever series drew an average of 435,000 viewers per night on ESPN2. That’s a 73% increase over 2008. Also, the series drew more than 16,000 fans per game. Here’s a question. If your league’s playoff games get bounced by Oscar the Grouch and the Cookie Monster, is it really a major sport? The WNBA really has NO game. The Atlanta Dream has been evicted from Philips Arena for the first round of the WNBA playoffs because of a scheduling conflict with Sesame Street Live. The Houston Comets are defunct. The WNBA has announced the Comets will cease operations after a new buyer for the franchise could not be found. The Comets are arguably the premier franchise in the history of womens basketball. Led by Cynthia Cooper, Sheryl Swoopes, and Tina Thompson, they won the first four championships in WNBA history from 1997-2000. You are currently browsing the archives for the WNBA category.